The right to be forgotten is one of the main features of new data protection legislation across the globe. Under Article 17 of one such piece of legislation in Europe, the GDPR, individuals have the right to have personal data erased from all systems and data the company may be storing about them. Similarly, in the USA the California Consumer Privacy Act will require companies to respond to requests for data access, deletion and portability within 45 days. While there may be many pieces of unstructured data littering our systems that hold customer data, perhaps one of the hardest problems to tackle is the erasure of personal information from our structured data, and how we also handle database backups. whenever we need to restore this information either back into Production or other environments. In some cases, we may be able to simply remove a user from the database manually or by other means on an ad-hoc basis. But where we have important data referentially depending on these contacts e.g. 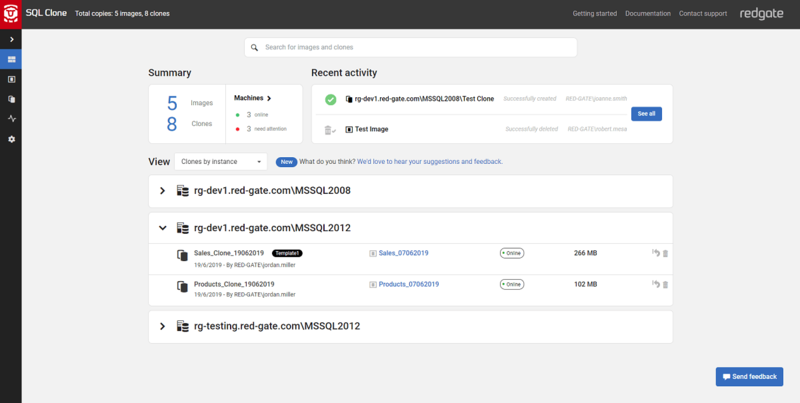 order history, which we may be using for analytics or other important workflows, it is not possible to do so. 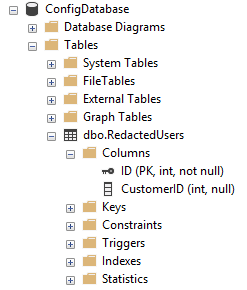 So how do we “redact” user information, while maintaining database integrity, especially where we may restore sensitive data over the top of this redaction? There are several approaches we can take to tackling this problem. The first such solution is never restoring from a backup that was taken prior to receiving the request to be forgotten. This in itself is the least ideal workflow because it renders all prior backups useless and effectively means we can just delete them. But this approach also has several drawbacks. We are only running a SQL script and in case of audit it is generally preferred to have some kind of log or report that demonstrates what steps were taken to comply with the request. It would also be beneficial to have something that we can programmatically keep updated instead of having to maintain a full “Right to be Forgotten” script in the future. 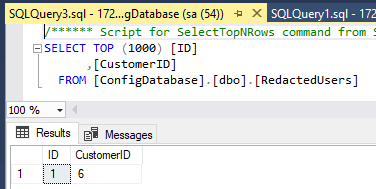 Figure 4: Next we apply a SQL WHERE clause to fetch the redacted IDs from the relevant table. This could be from another database as in this example or could have been loaded into the database programmatically as part of the restore job. Data Masker outputs reports as part of every masking operation and we can see below that as part of this run only one row was processed., As we know that there is only one row in the “Right to be Forgotten” table with 12 columns to be redacted, we know that the masking has completed successfully. In summary, there are many ways we can handle actioning the “Right to be Forgotten” when it is requested, whether this is handling the update manually, scripting the change or using Redgate’s Data Masker for SQL Server to achieve the end result with the level of logging and reporting we would like to retain for audit purposes. The goal is always to ensure that we are compliant with the necessary legislation, yet we can respond to requests we receive with the lowest possible overhead both to the data subject and our own teams. The solution outlined in this article is one such approach to achieve this. Data processing is central to the way many software teams work including the way data is collected, stored, accessed, used and destroyed. 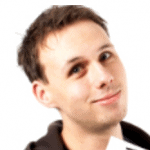 In this webinar Redgate's Richard Macaskill will explore how the GDPR will impact software delivery processes and the steps organisation should take to becoming compliant. Rebecca Edwards premieres the new SQL Clone 3.0 dashboard, and explains new features to make it easier to manage clones, view recent activity on them, and reset clones with the push of a button. Gerry Leith explores what’s required for the effective masking of dates and times in your data. 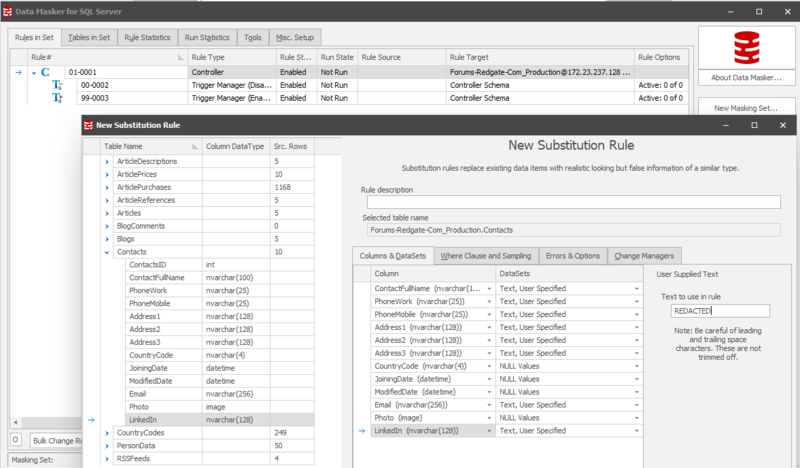 Karis Brummit announces SQL Provision, which combines SQL Clone's fast, lightweight database copying and centralized management of provisioning, with Data Maskers's ability to obfuscate sensitive or personal data, prior to distribution. Nice article. However could you see a benefit in following the same steps, but leveraging the true power of Data Maskers for the Address Lines, email etc. Then tag the records so that you know it has been redacted. Doing this would allow you to keep some form of insights in the DB, but without the PII. Thank you for your comment! 🙂 I don’t think anyone in the world can call themselves a “Right to be forgotten” expert, and from my perspective it’s definitely not a stupid reply – we can all throw something into the melting pot and see what comes out! I think you’re absolutely right – with this article it was more that I was focussing on the process and the benefits that having a third party tool offers over manual scripting, but yes absolutely, given that I was using a substitution rule to carry out the redaction, I think you could easily leverage Data Masker more heavily to retain an adequate spread of more useful business information, especially where a copy of this Database was later used for something like Business Intelligence / Reporting – the change itself wouldn’t be a difficult one but as i say, it’s getting the process right in the first place!